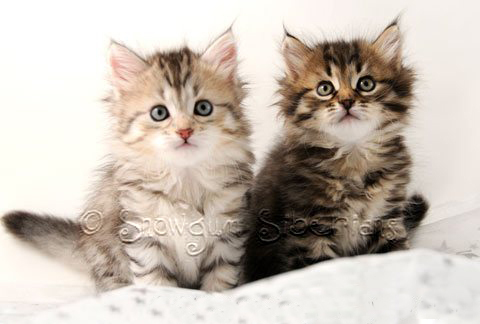 ﻿ Available Siberian Kittens Sydney 2015! We have our beautiful retired queen "Double Grand Champion Vazhena Sladkoe Pyatnyshko" (known as "Zhena" at home) looking for the purrfect furever home! Please click to see pictures and read about Zhena . You can see a video of Zhena here on our YouTube channel . If you feel you are the perfect family for Zhena please send me an email introducing yourself. Genuine inquiries only please. We don't have any kittens available for reservation at right at this moment but will do very soon! Please join our notification list to be contacted when we have kittens available. Please see our Kitten Adoption page for details. Our kittens go to their new homes spayed/neutered, vaccinated and microchipped and with flea and worm treatments. They leave home with a detailed care guide and diet sheet, a sample of their favourite food, their official vaccination certificate, microchip certificate, TICA registration paperwork and pedigree. 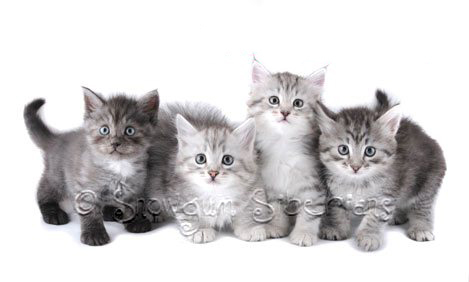 All kittens are vet checked before they go and are fully weaned, litter trained, healthy and well socialised. Our kittens are registered with TICA. Please see our Kitten Adoption page before getting in touch with us. This will tell you how to join our notification list. Only genuine inquiries please. Please see our allergies page if you or anyone in your family has allergies. 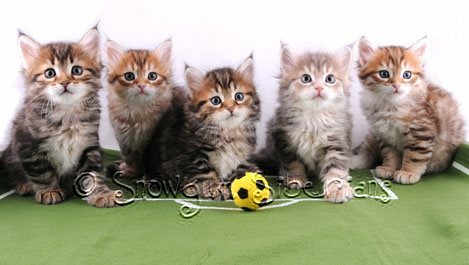 Please look through our site to see pictures of our previous beautiful Siberian kittens. Why choose a Snowgum Siberian? Here at Snowgum we have the highest standard for our kittens. The health and happiness of our cats and kittens is our priority. Due to careful breeding and years of experience we are able to produce kittens that have stunning good looks and beautiful, loving temperaments too. Snowgum Siberian kittens are raised in our family home with our children. They are used to the sounds of a busy family life and will love being a part of your family. You will find our kittens to be loyal, loving pets who seek out your company and want to help you with everything you do! Our cats have all been tested negative for a variety of feline illnesses including blood tests for FelV and FIV, and DNA tests for PKD. We are happy to show you the paperwork for all of these tests. We have TICA Regional Winners, TICA Supreme Grand Champions, FIFe Best In Show and Best of Best winners, and CFA Champions amongst our breeding cats. Those that have not yet been showed will almost certainly achieve impressive titles too as soon as the are given the opportunity. Our kittens all have amazing pedigrees with lines unique to our cattery within Australia. 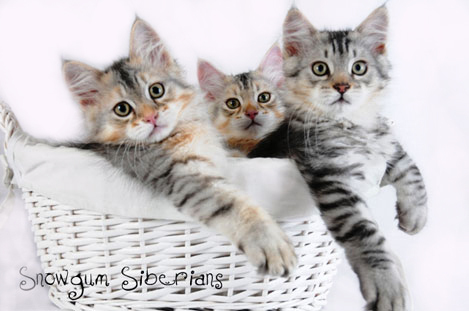 Most of our breeding cats have travelled all the way from Russia, the breed's homeland, so you can be assured of a genuine, top quality Siberian when you adopt from Snowgum. We are currently the only breeder in Australia with Russian born Siberian breeding queens and studs. Many of our breeding cats have had their saliva tested and proved that they have low FELD1 allergen levels. As we both personally have cat allergies we can advise you from personal experience of allergen levels of those cats we have not tested in the lab. 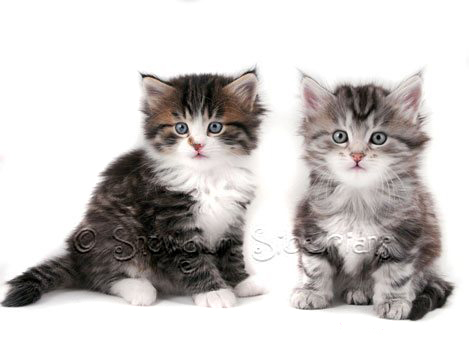 Due to our careful selection of our studs and queens our kittens all have stunning good looks! 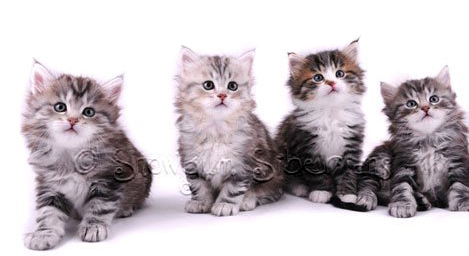 Many of our kittens have had successful show careers. Snowgum cats have won many Best Of Breed awards, Best In Show awards and recently even Supreme Exhibit awards! When you adopt a kitten from Snowgum you are not just buying a kitten but access to our years of international show and breeding experience. We have successfully showed our cats in Russia, extensively throughout the UK and in Australia. We have purchased breeding cats from some of the best and most experienced Siberian breeders in Russia and the UK and have their support and mentorship for our breeding program.